The Blaze has been revamped as a combination pips-in/pips-out racket. A great transition from the Vortex to the Tsunami. Meets ITTF's red/black color rule stating one side of racket must be black and other red. 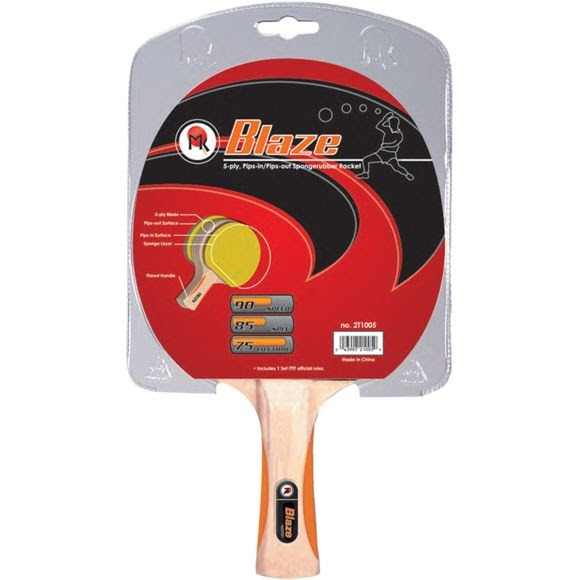 Martin Kilpatrick Racket Series The Martin Kilpatrick Racket Series offers the sporting goods outlets key price points for their table tennis assortment. The Blaze has been revamped as a combination pips-in/pips-out racket. A great transition from the Vortex to the Tsunami. Meets ITTF&apos;s red/black color rule stating one side of racket must be black and other red.